You can escape internet connection problems by booking an Uber cab ahead. This is a useful tip for those who love to plan ahead to avoid unforeseen circumstances. By scheduling Uber ahead, your ride arrives as scheduled even if there is no internet connection on your phone. Your driver will text or call you once he arrives at your location. You can download the third party app kommen that also calls Uber rides on your behalf. With Kommen, you can schedule Uber cab rides for up to 30 days ahead and even schedule up to 5 rides at once. You can also cancel scheduled rides at no cost to you. If your driver cancels your scheduled ride, even with no internet access, Kommen automatically requests another ride on your behalf. So schedule rides ahead and live worry free even with no internet access. If you haven’t already downloaded Kommen, download the Kommen app from the Google Play store here. For now, the Kommen app is only available for Android users. If you are not already signed in, you just need to sign in once to Kommen with your Uber account, so we can call rides on your behalf. You should be on the “Scheduled Ubers” screen now. To schedule Uber using the “New Uber Form” click on the + sign. Uber Type: (UberX, UberBlack, UberGo, and UberPool are some of the available options, depending on your pickup location). To schedule Uber cab, click on the scheduled later button. To prebook Uber, select your pickup time and date, and you are almost done. If you don’t have it saved in your settings, you have to select a backup ride, otherwise you just need to click “Confirm Uber” and your scheduled Uber should arrive at your selected date and time. In 2015, Uber tried to introduce a service that will allow users without smart phones to request an Uber via text messaging. This service however didn’t last long as it didn’t meet up to Uber’s vision for transportation that runs as smooth as running water. To ensure you get your Uber cab ride just when you need it, schedule Uber ahead of time with Kommen. This will prompt a pop-up screen on the bottom showing price estimate and wait time for Uber. Click on the Uber tab at the top. The interface is not exactly what you’re used to seeing in the Uber app, but you still have the same basic options for comparing prices and wait times. Next, select your ride type (UberPool, UberX, Uber XL, Select, Black or SUV) and click request. This will prompt you to select a payment method. It defaults to the card on file for your Uber account, but you can easily add a different one or even use Android Pay if you have it set up on your phone. If you’ve already linked Uber cab to your Google account, you should see the tiny car icon making its way to you as soon as you hit the “Book it” button on the bottom right. If not, you’ll see a pop-up screen prompting you to do so before you book. Once your driver is en route you can contact him or her directly from Google Maps or cancel your ride. You’ll still be notified when the car arrives. The only thing you may still have to use the Uber app for is to rate your driver after the ride. Let us know when you want your Uber, and we will request your Uber in enough time for you to make your trip on schedule. Kommen is currently available in a number of countries across the globe. These countries include: Austria, Azerbaijan, Bahrain, Belgium, Denmark, (UAE) Dubai, Egypt, Finland, Germany, Jordan, Netherlands, Norway, Qatar, Saudi Arabia, Sweden, Australia, Hong Kong, India, Malaysia, New Zealand, Philippines, Singapore, Israel, Kenya, Lebanon, Nigeria, Republic of Ireland, South Africa, UAE, United Kingdom, Canada, Mexico and the United States. To learn more about Kommen, visit www.trykommen.com. In India, you can request an Uber without having a smartphone. This option caters to the Indian populace who do not have smartphones. 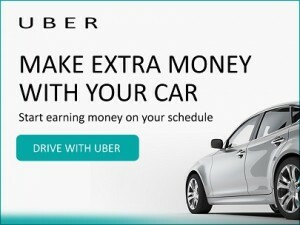 In order to make an app-less booking, go to the dial.uber.com webpage. The page prompts a ‘Start Riding’ option, which is how the process of booking begins on the site. It will then ask for your phone number, so you can be contacted and notified regarding your booking. The contact detail is followed by the traditional ‘permission to access information’, once it is accepted, the web page takes you to the page that shows the nearest cab, with an option to ‘Book a Ride’ at the bottom of the screen. Once booked, the page shows the details of the cab booked, along with the option to call the driver or cancel the trip. The web page also has the same rule of cancellation of a booked cab as the app, which means you can cancel the ride within five minutes without paying a cancellation fee. This service is currently available in India. With these options detailed above, you do not have to entirely depend on the Uber app option anymore. Now get to riding.